EXACT CHEMICALLY BALANCED FORMULAE FOR MAXIMUM PERFORMANCE AND RESPECT OF THE HAIR. 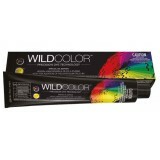 Wildcolor Naturals (similar to WELLA Koleston) colour from Italy in an economical 180ml tube..
Wildcolor Naturals (similar to L'OREAL Majirel) colour from Italy in an economical 180m..
Wildcolor Naturals (similar to SCHWARZKOPF Igora) colour from Italy in an economical 18..
Wildcolor Naturals (similar to MATRIX Socolor) colour from Italy in an economical 180ml..
Wildcolor Naturals (similar to REDKEN Colorfusion) colour from Italy in an economical 1..
Wildcolor Naturals (similar to GOLDWELL Topchic) colour from Italy in an economical 180..
Wildcolor All Free Color Bases - Ammonia Free colour from Italy in an economical 180ml tube D.. Discover your WILD side !!! Let us introduce you to a new precision dye technology to Austral..